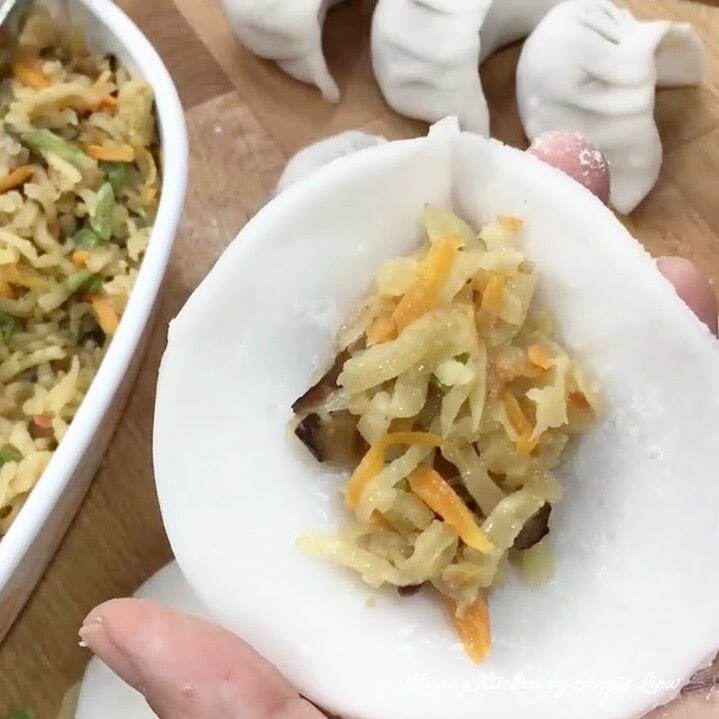 Steamed vegetable dumplings, locally known as Chai Kuih or Chai Kueh 菜粿, is one of many iconic Asian traditional delicacies, rumoured to be of Teochew origin. 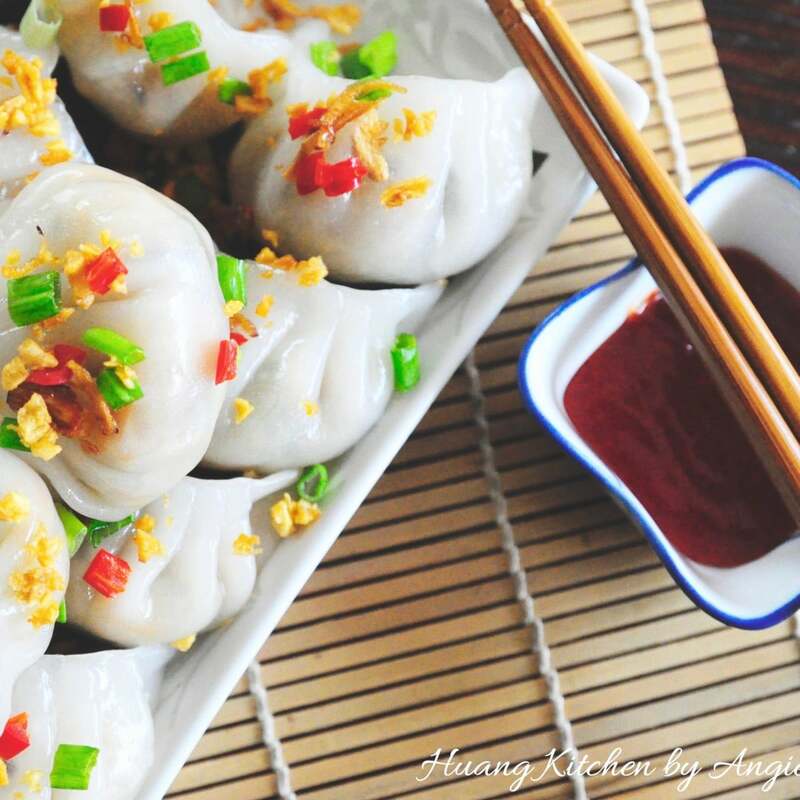 It bodies, mainly, stir-fried yam bean wrapped in a chewy crystal-like skin. 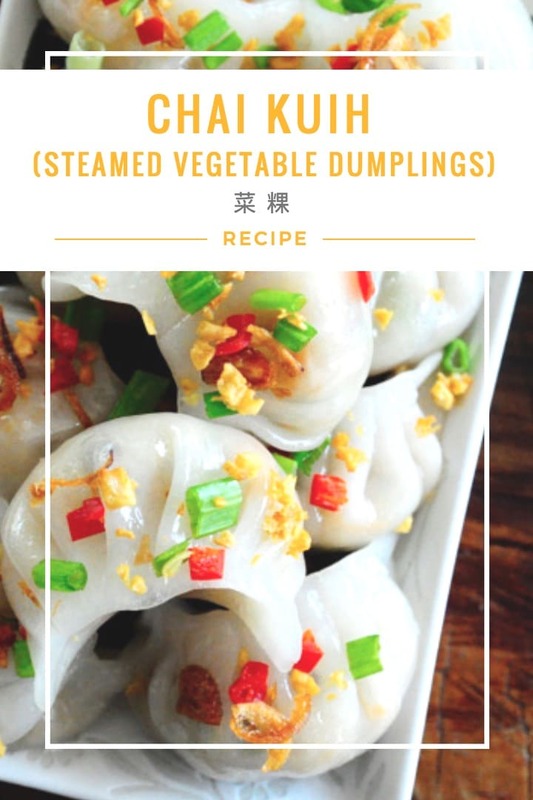 These delicious vegetable dumplings are steamed to perfection! 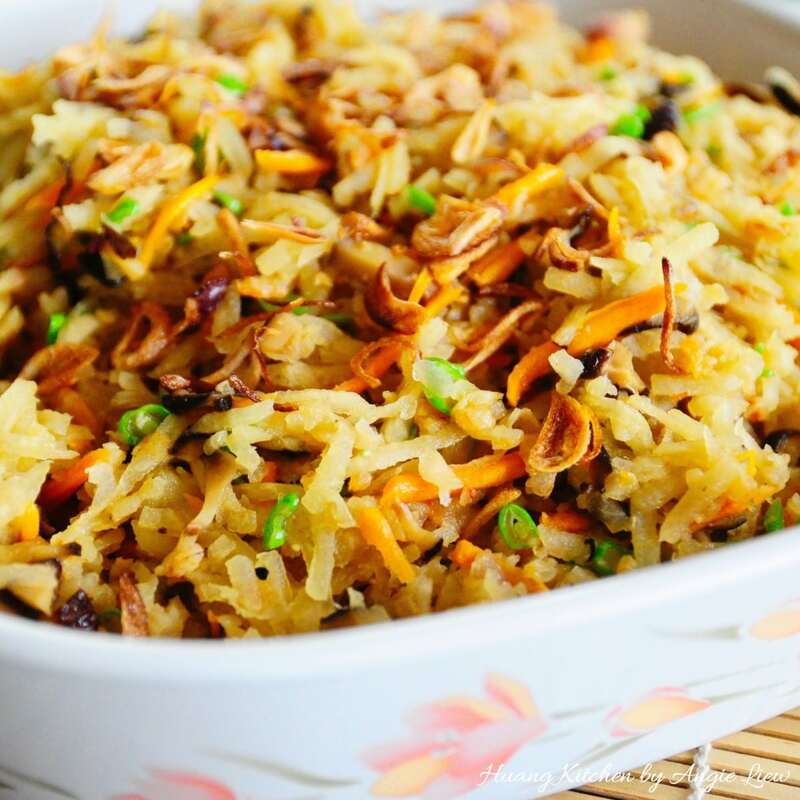 They make a light, healthy and tasty appetiser or snack! 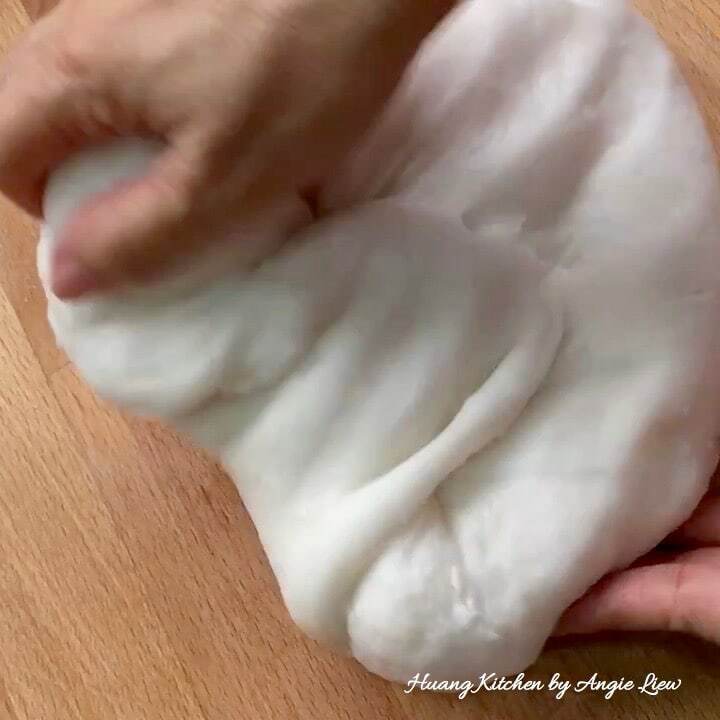 The secret to making these popular steamed vegetable dumplings lies within its skin. 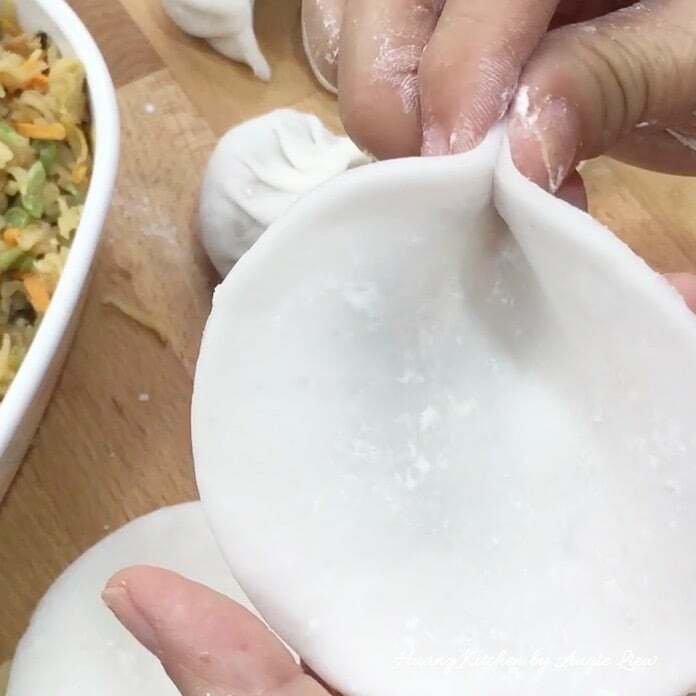 The idea is to achieve a soft, springy and translucent pliable dough suitable for shaping the dumplings. 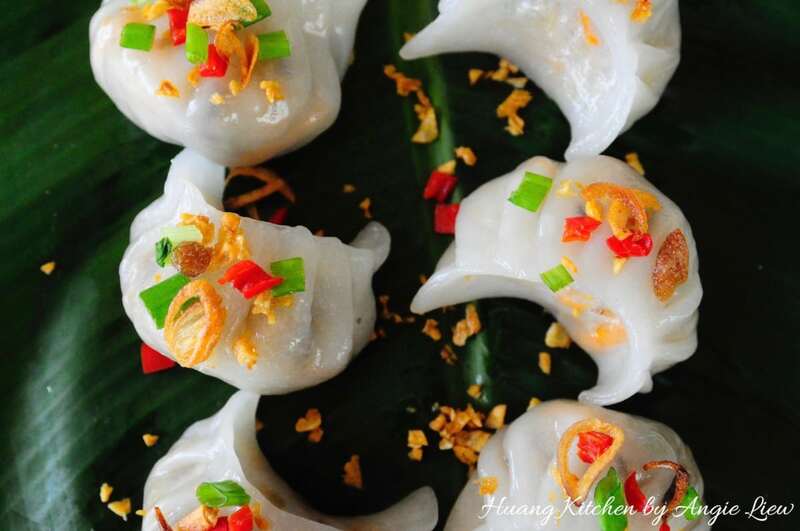 These dumplings are deliciously good even on its own. Better, top it off with a sweet chilli sauce. They are so good, you can’t stop at 1, 2, 3, 4 or even 5! It’s truly a Teochew culinary treasure for the whole family! 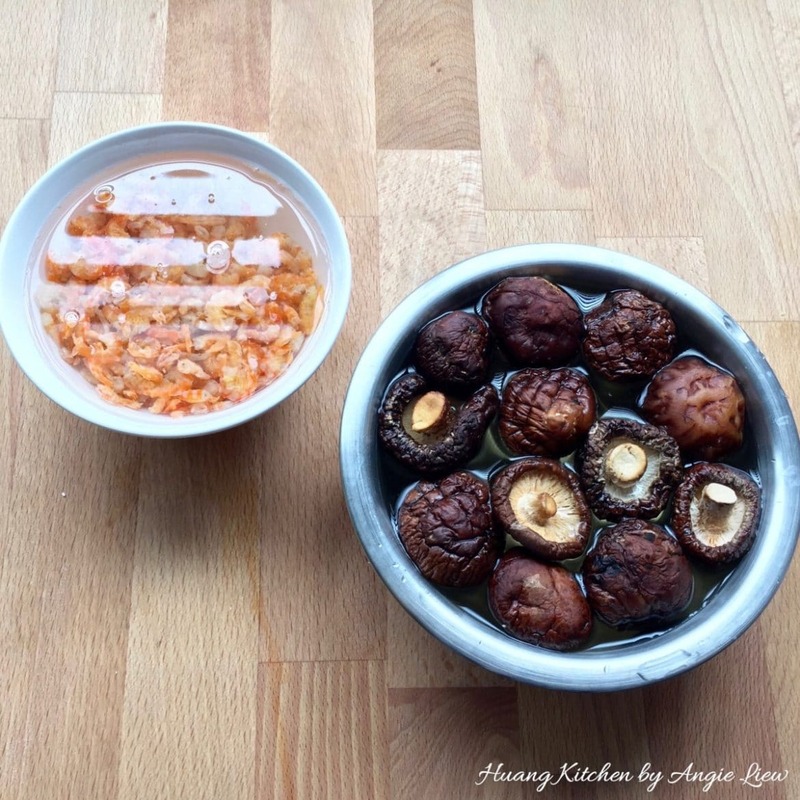 First, soak dried shrimps and dried shiitake mushrooms. 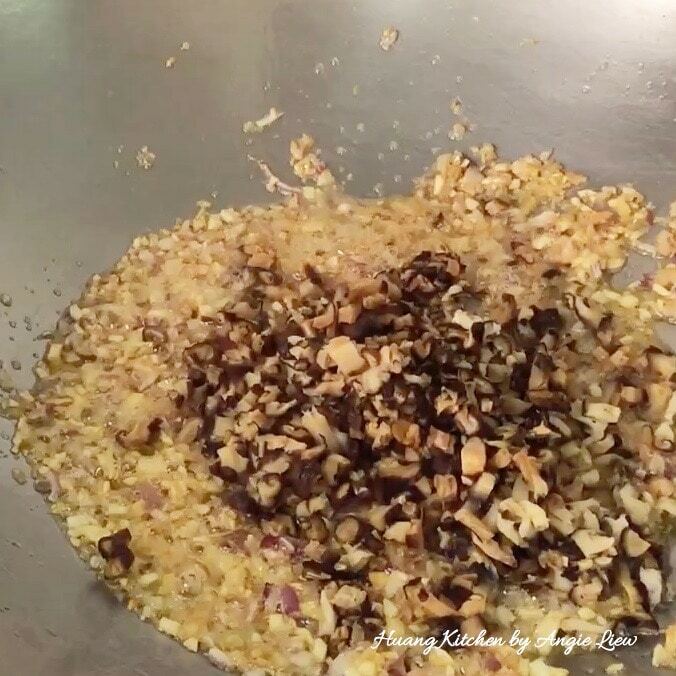 Then dice the soaked mushrooms and chop, coarsely, the dried shrimps. 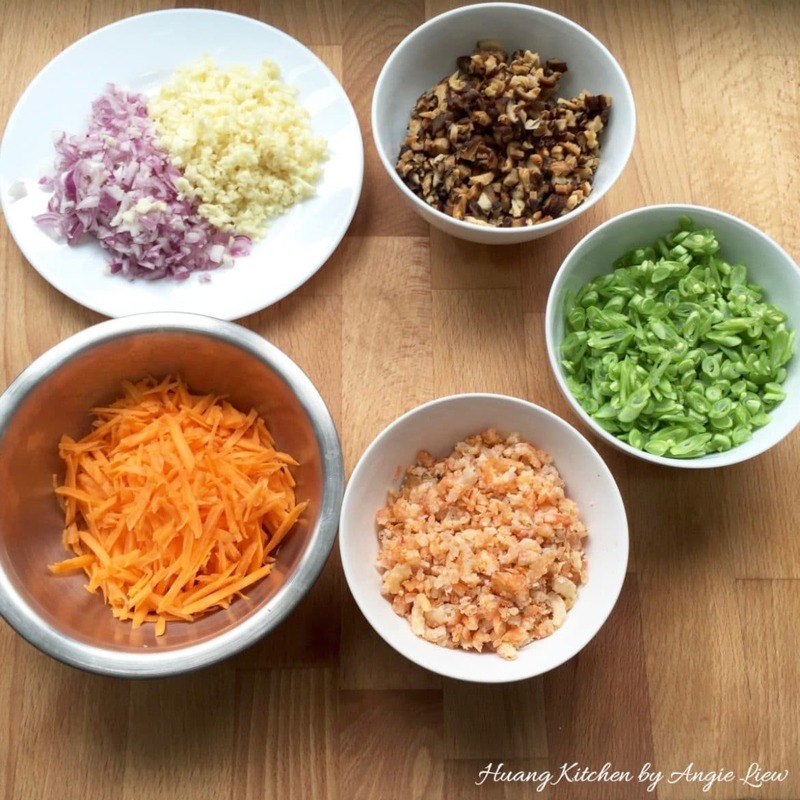 Next, mince garlic, shallots and shred carrot and french beans, thinly. Using a sharp knife, peel yam bean's thick and papery skin. 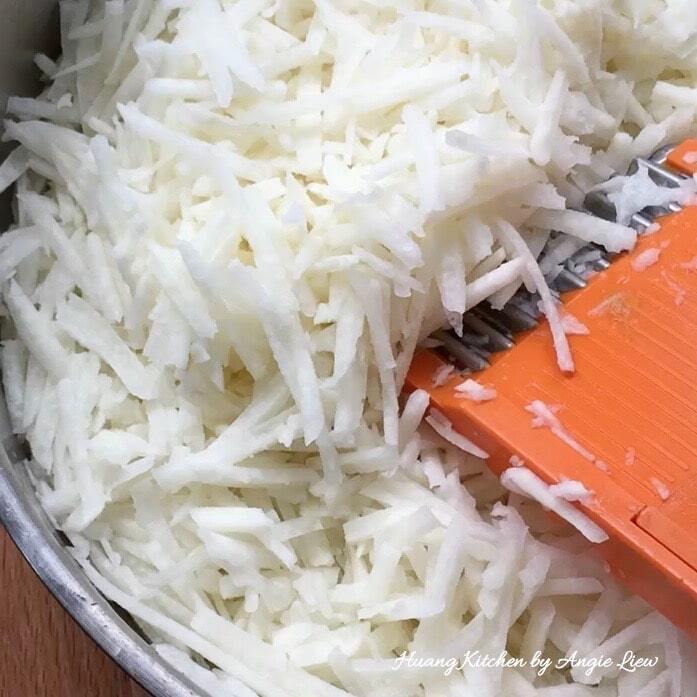 Then shred yam bean into long, thin strips. And we're ready to fry the filling! Ready by heating up oil and sauté minced garlic and shallots till fragrant. Add in chopped dried shrimps and fry further. Then, add diced shiitake mushroom. Continue to fry. 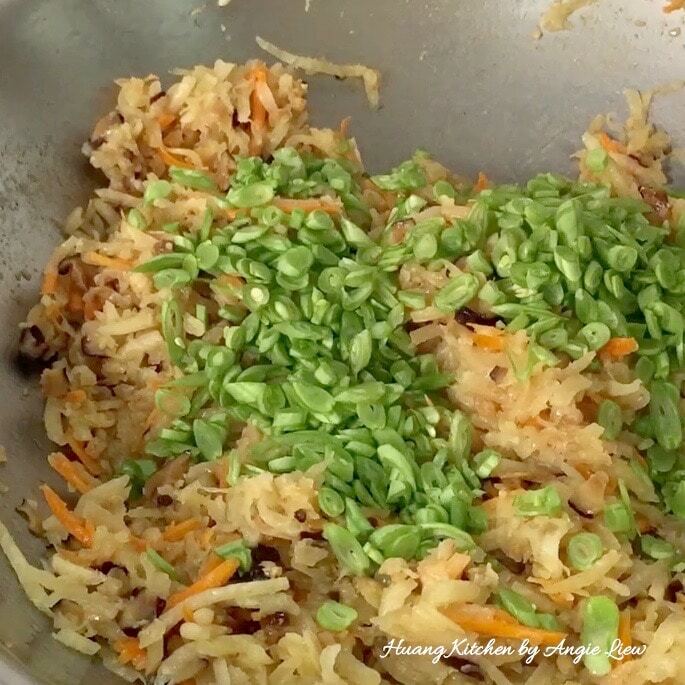 Add in yam bean and stir fry for about 5 minutes. Season with salt, chicken stock granules and white ground pepper. Next, stir in carrots and french bean. Simmer till vegetable softens and cooked. And we're done! Remove and leave to cool while we prepare the pastry dough. 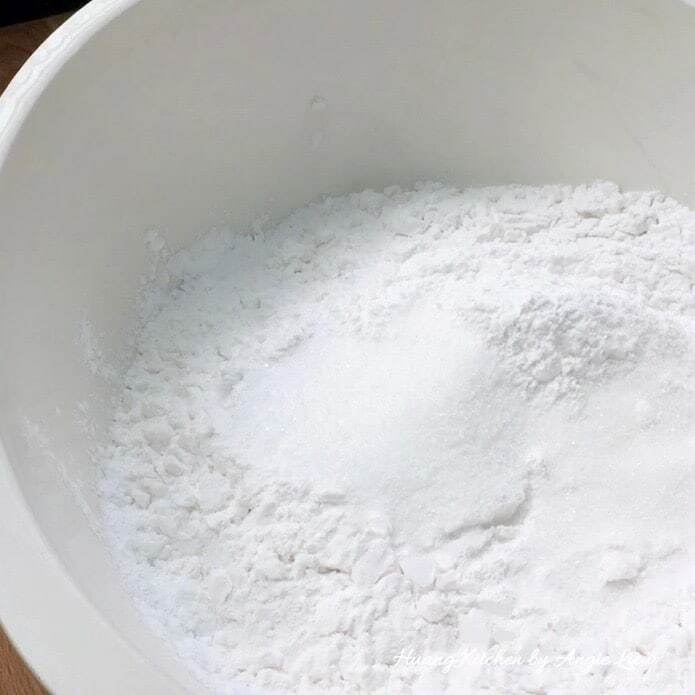 In a large mixing bowl, combine wheat starch, tapioca flour, salt and sugar. 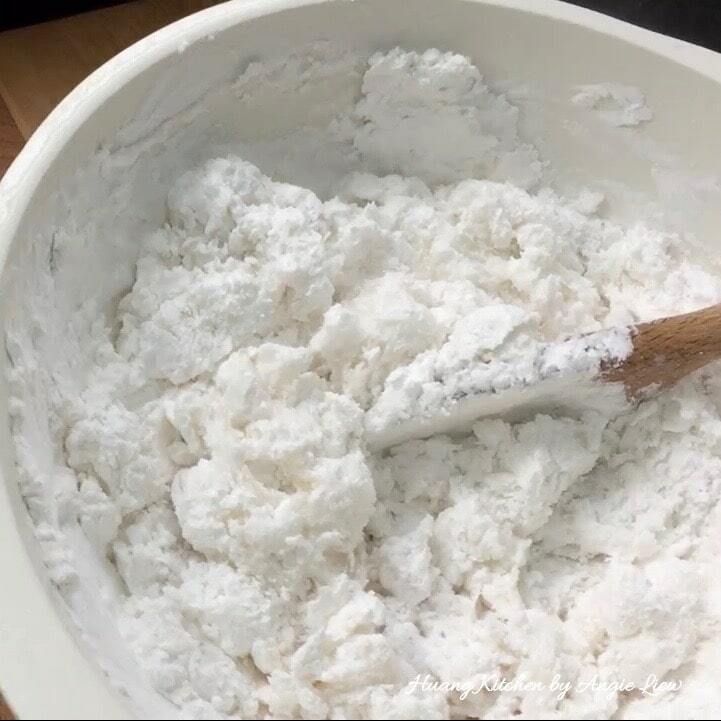 Add hot boiling water into the dry flour mixture and mix thoroughly with a long wooden spoon until you get a translucent light dough. 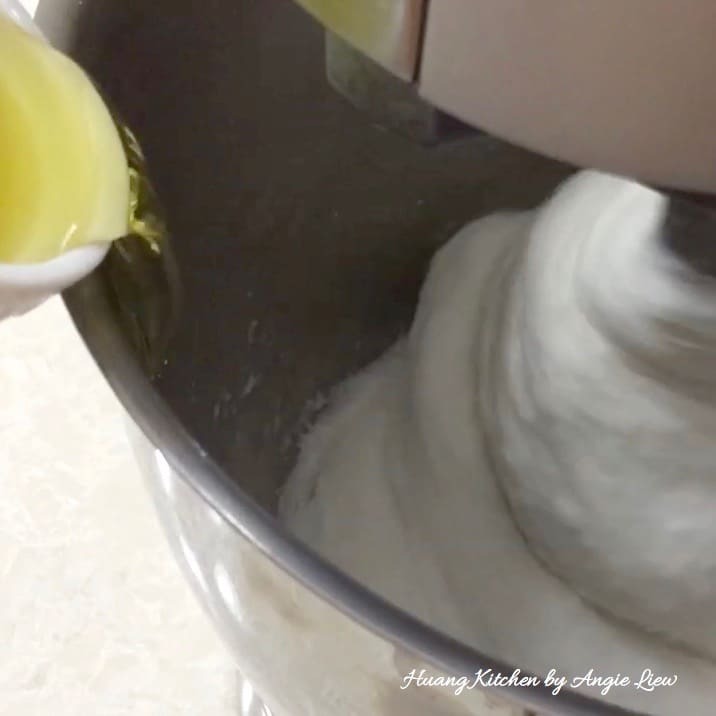 Then, transfer to a stand mixer and knead briefly. 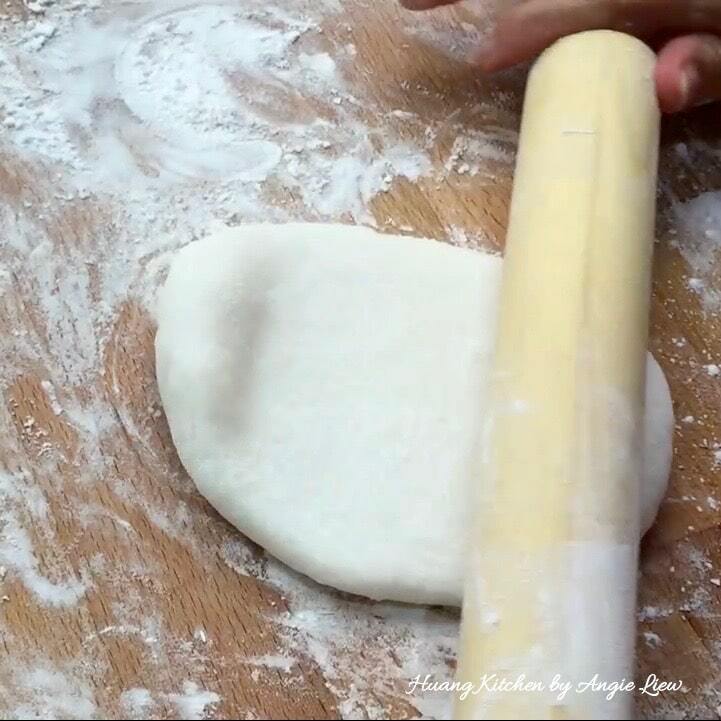 Gradually add in vegetable oil and knead into a smooth dough. 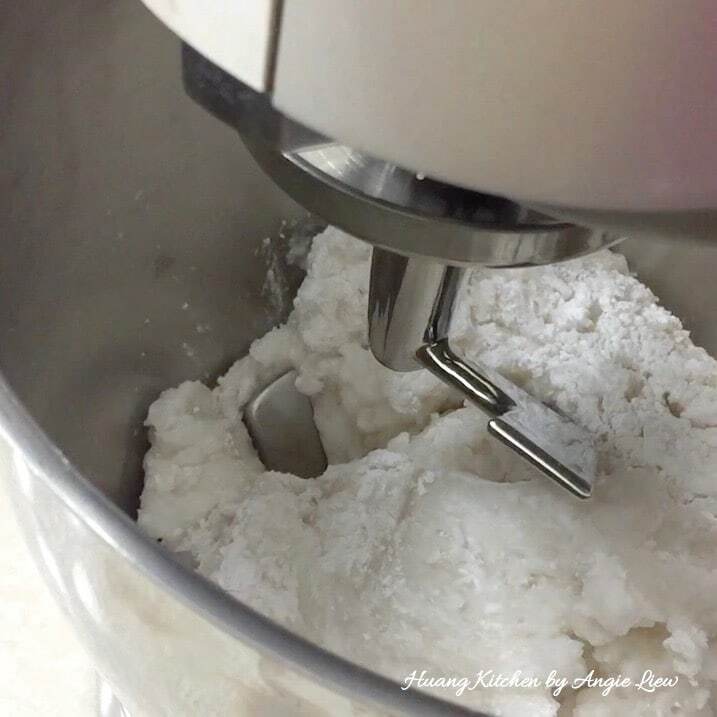 Remove from mixer and roll the dough out. 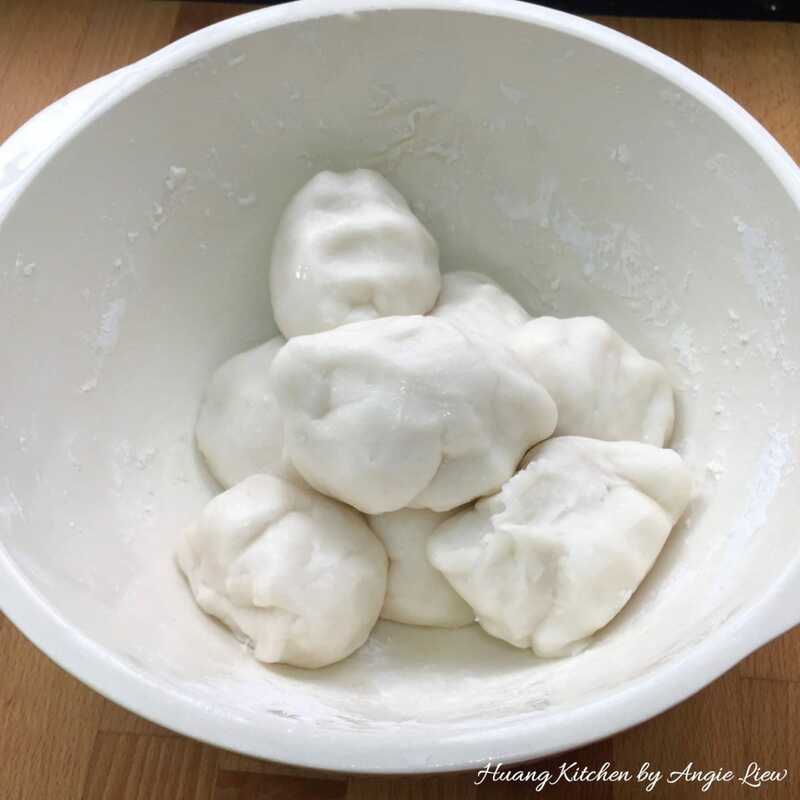 Divide dough into small pieces, cover and leave aside for 10 minutes. 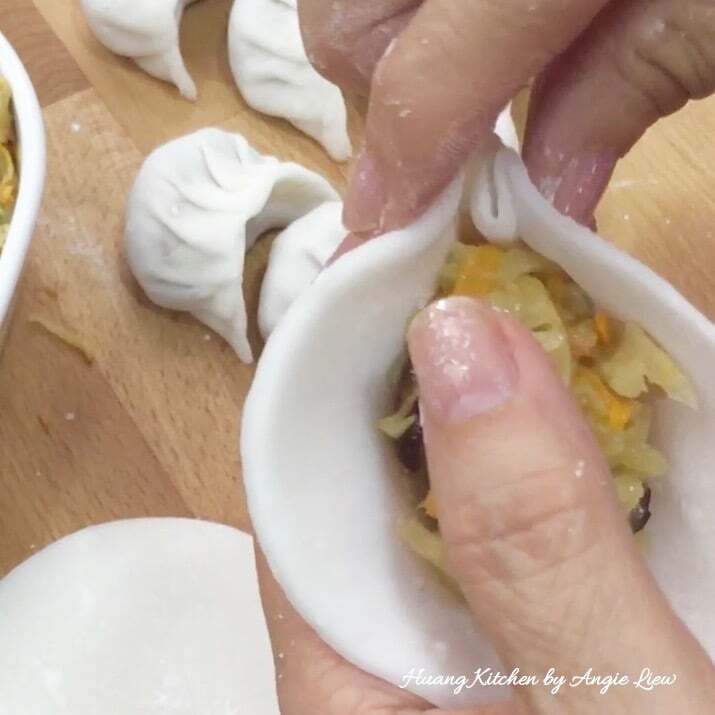 Finally, we're ready to make the steamed dumplings! First, dust tabletop with tapioca flour. Then flatten and roll out dough into a thin sheet. 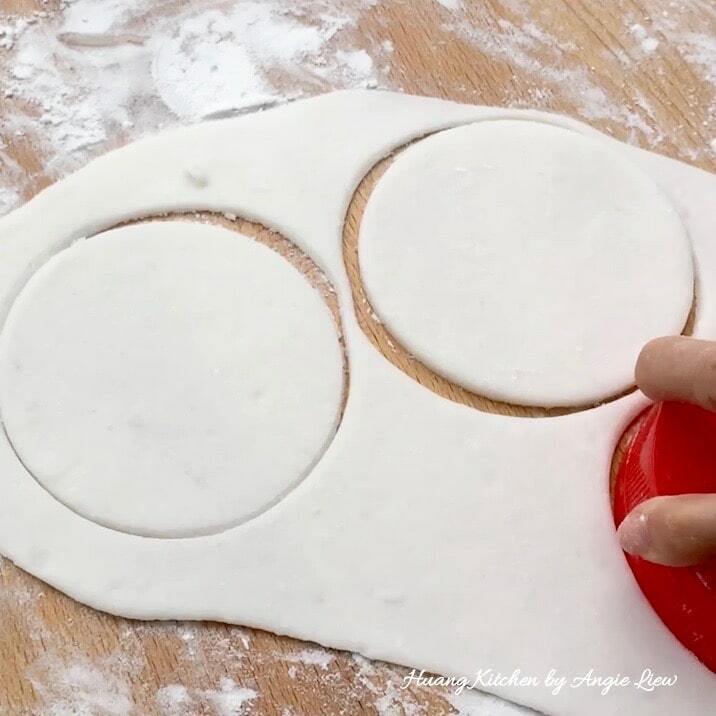 Using a round cutter, cut thinned dough into circles about 10 cm in diameter. Repeat for the rest of pastry dough to form skin. 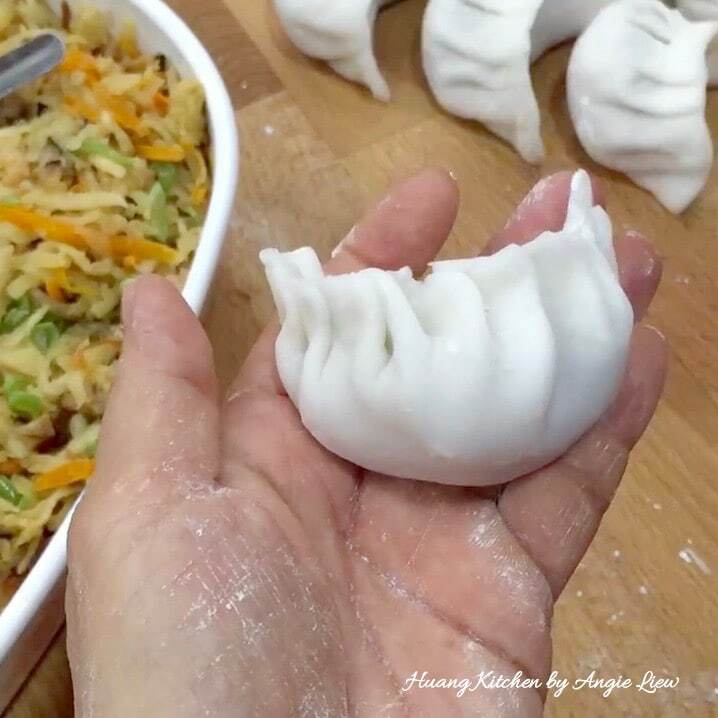 To make the dumplings, fold the skin into a semi circle, seal slightly on one end. 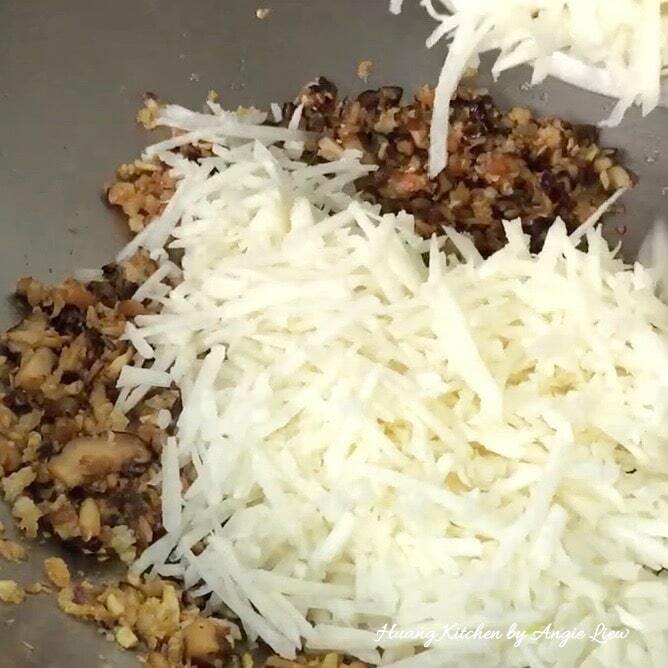 Scoop a heaping tablespoon of filling into the centre of the skin. Pleat the edge on one side of the skin and secure towards the other side into a half moon shape. Continue to pleat to the end, wrapping it up tightly. Repeat the same for the rest of the cut pastry skin. Next, brush cooking oil on the steaming tray. 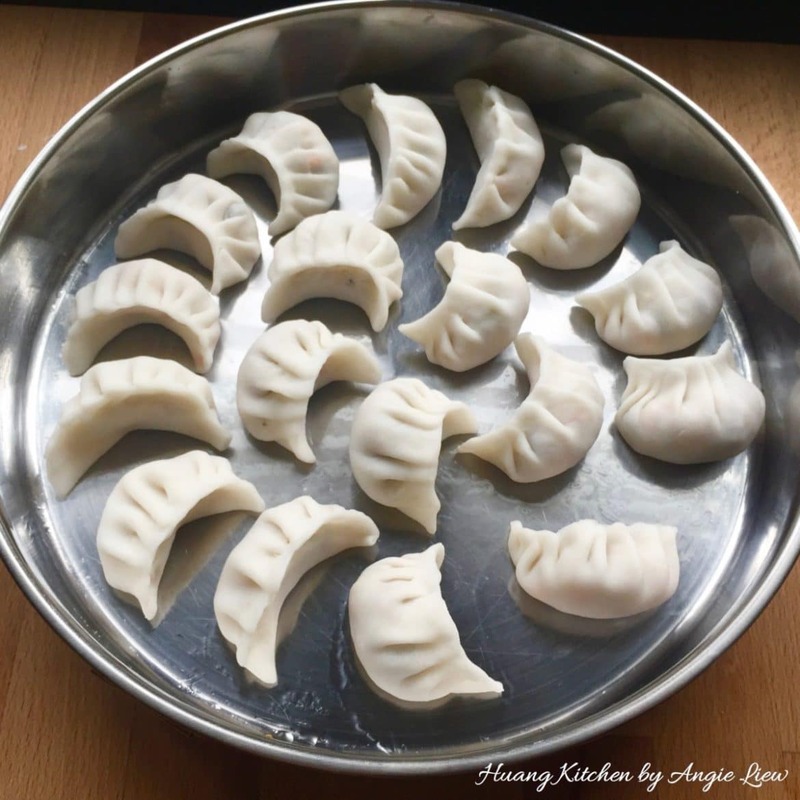 Arrange dumpling on the oiled steaming tray. Make sure they do not touch one another. 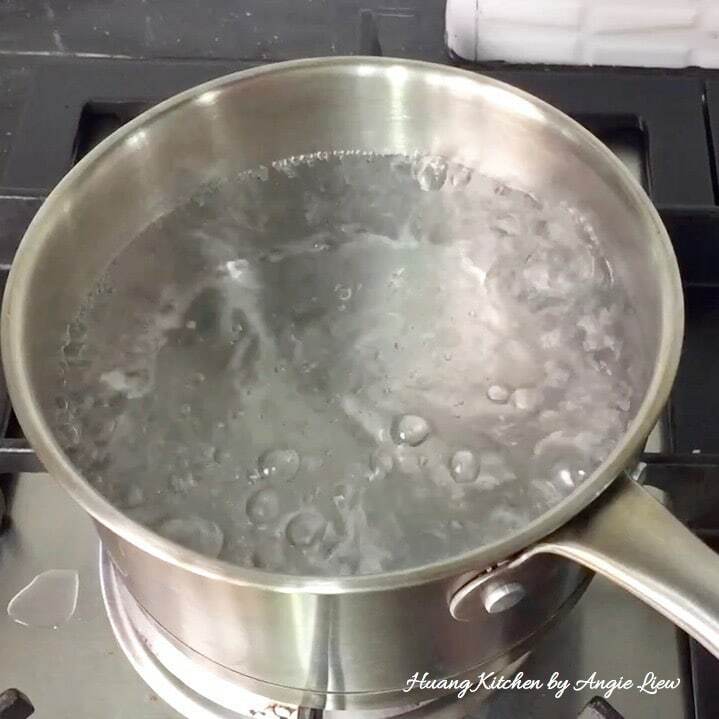 Steam over medium heat for 12 minutes or until skin turns translucent. 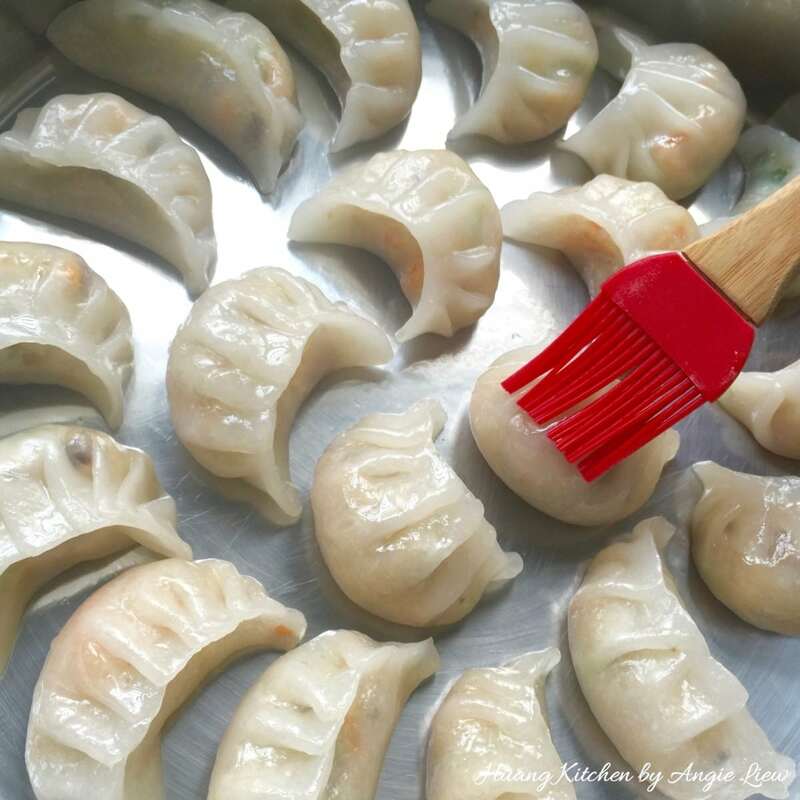 Remove the steamed dumplings to cool on wire rack and brush them with some garlic oil. Transfer to a serving plate when cooled slightly. 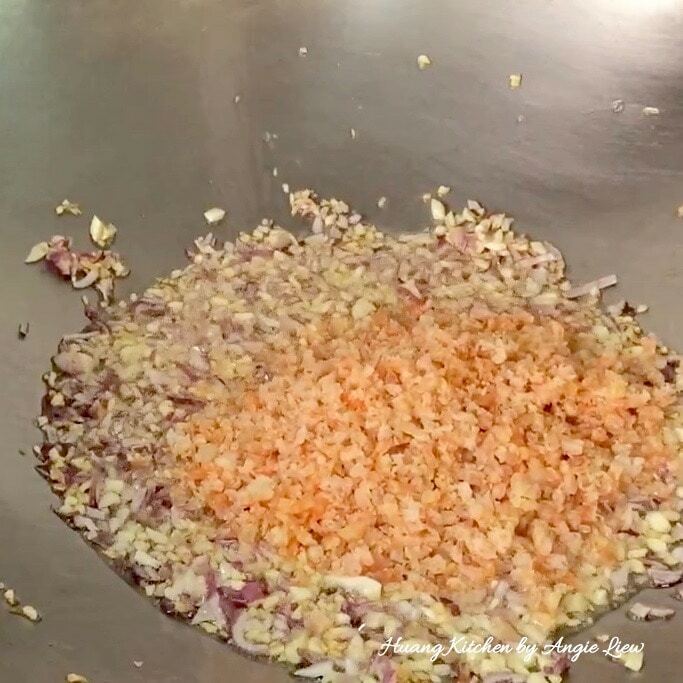 Then garnish with fried garlic, shallots, spring onions and chopped red chilli. Serve warm with sweet chilli sauce and Enjoy! 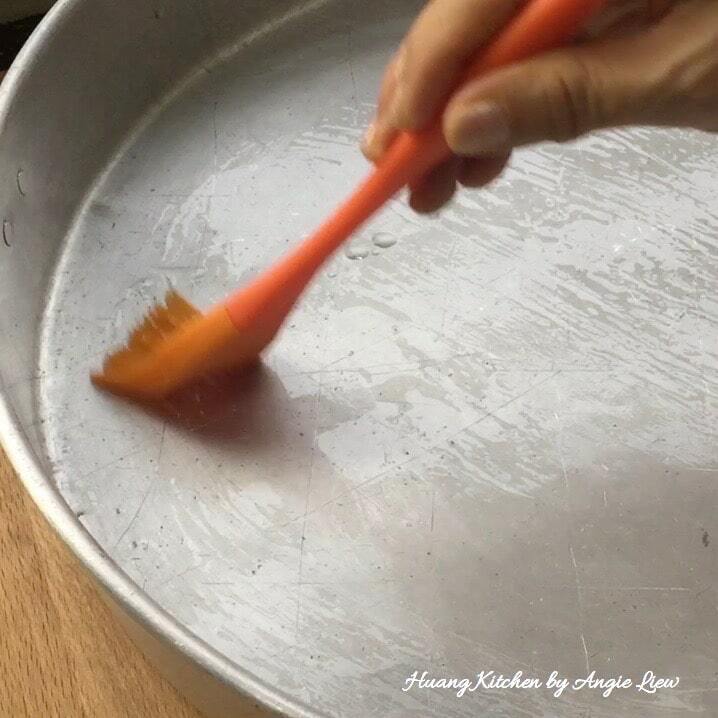 Adding oil to the skin dough prevents the dough from sticking onto your hand and gives the skin a smoother texture. It also prevents the skin from breaking easily. 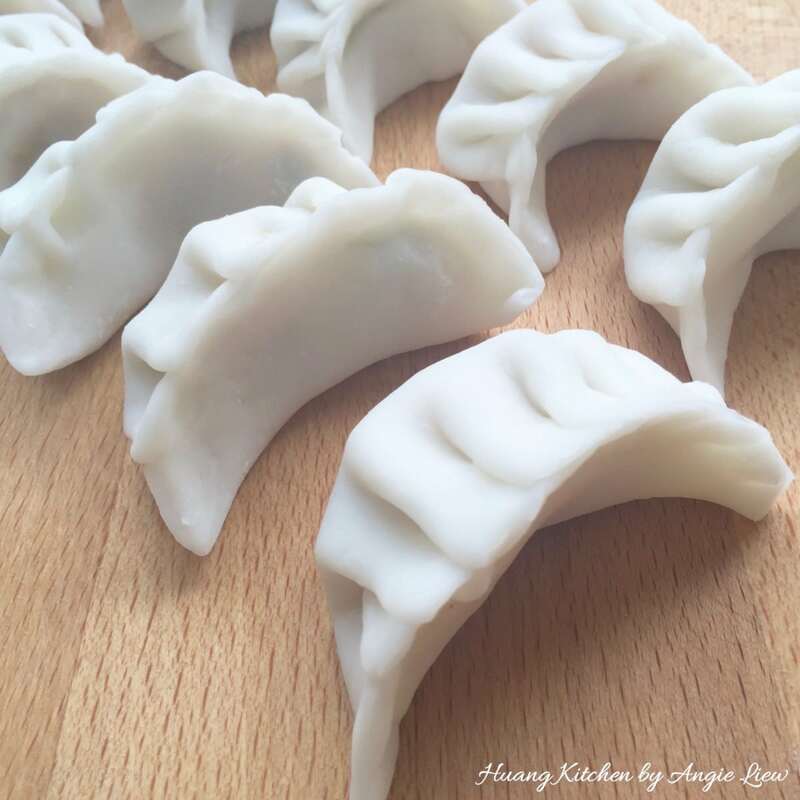 You can vary the thickness of the dumpling skin according to personal preference but it should not be too thin so you can enjoy the chewy bite. Be sure to cut FINELY all the ingredients for the filling. Otherwise it may cause the skin to break while wrapping. 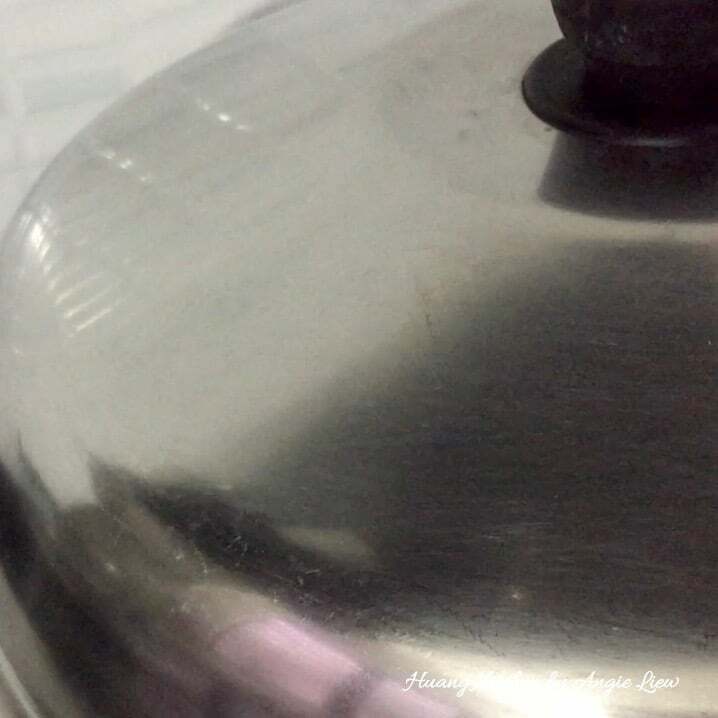 Only remove steamed dumplings from the steaming tray when it is slightly cold. Otherwise, the skin of dumplings will tear. 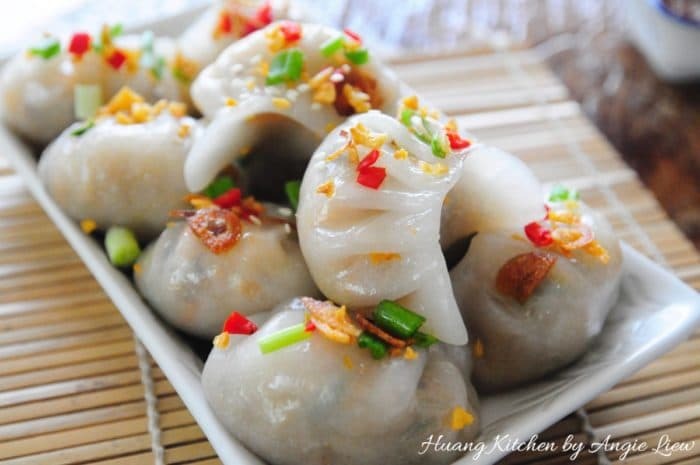 Do not use high heat for steaming as the dumplings will expand too much and break. 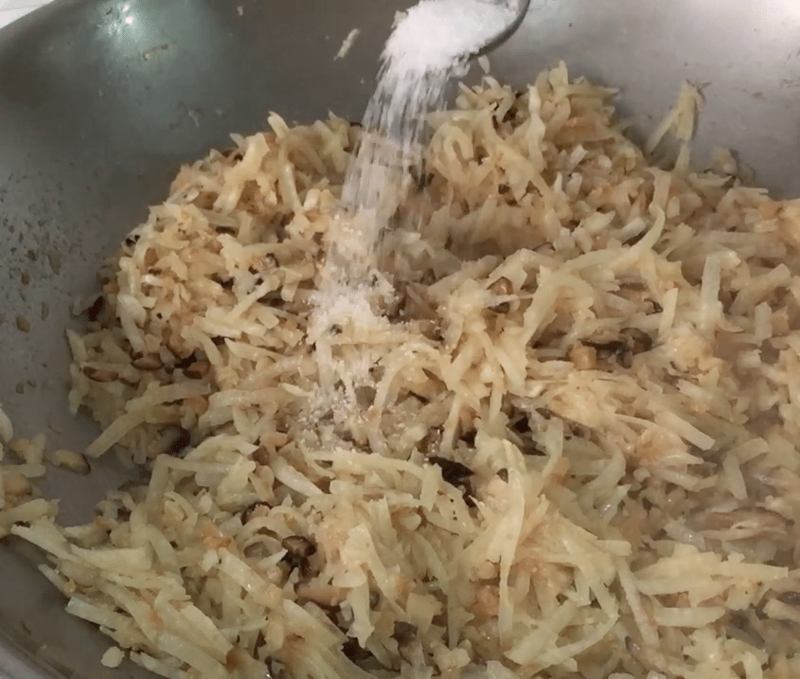 Frying of the yam bean filling can be done ahead of time. Keep refrigerated / frozen until needed.